With new year comes what is now becoming a tradition for Whisky Squad, in as much as doing something for three years in a row make a tradition – a session in the cellars of Berry Brothers & Rudd with friend of The Squad Rob Whitehead. On arrival Foursquare informed me that I hadn’t been to Berry’s since January of 2012, when we did our ‘Third Sense‘ session in the Berry’s cellar, which makes me a sad panda – visiting the shop is something I try to do from time to time, despite being able to get most of their spirits at work, simply because it’s rather excellent, from subsiding floor to unalterable English Heritage listed nails (stuck into a Tudor period wall significantly after the time when the wall belonged to one of Henry VII’s hunting lodges), to say nothing of the wine. Christmas and New Year are approaching. I know this because I’ve received the ‘prepare for the PAIN’ email at work, warning us of the propensity of people to purchase boozes towards the end of the year and the commensurate increase in the amount of work that us booze slinging retailers will see as it approaches. However, we’ve also noticed this at Whisky Squad and to help in the selection of some more thrifty purchases for the festive season we brought in m’colleague Tim Forbes of TWE to go through a range of more affordable, ‘bang for your buck’ purchases. Rumours that the session was once going to be called “Timmy Wimmy’s Nifty Thrifty Whisky for Chrissy” are entirely true. It was vetoed quite early on by Mr Forbes, as he has a modicum of pride left in his body. I will, however, be referring to my younger brother as Timmy Wimmy for the rest of the year to ensure balance. I am yet again behind on writing up Whisky Squad sessions. I blame the fact that #43 happened the day before I went to Maltstock, and that it’s taken me several weeks to recover from that weekend of drinking in Nijmegen and it’s follow up day of working at Whisky Live Paris. You know you are tired when you have to wedge yourself between three tables in the Eurostar bar car so that you can have a hand free to hold your beer and still not fall over as the train transitions from smooth French rails to bumpy British ones. Anyways, Whisky Squad #43, as led by Karen Stewart from Wemyss Malts. While Whisky Squad started out at The Gunmakers, with even the initial formation of the idea happening at the bar, over the last year or so we’ve been letting Jeff have his upstairs room back from time to time to make a foray out into the world. For Whisky Squad #41 we took that to the next obvious level and had the tasting outside – in St James’s Park. It was to be Squad co-founder Andy’s last session of organising and he picked out a theme that he’d been wanting to look out for a while – Lowlanders. 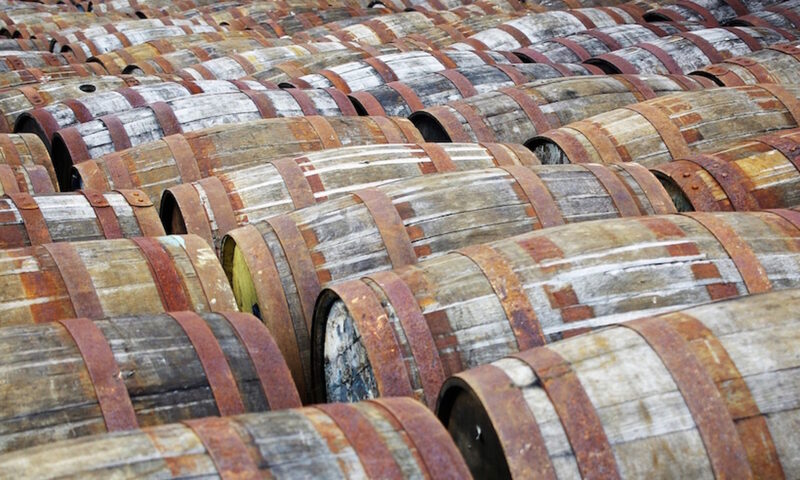 While the other regions of Scotland are all quite full of distilleries, the Lowlands have slowly but surely been contracting over the last few decades, until now there are only three operating single malt distilleries – Glenkinchie, Auchentoshan and Bladnoch. That said, there are still numerous bottlings available from the closed distilleries, so it wasn’t going to be as short a Squad session as it might at first seem. In a step closer to being almost up to date I present Whisky Squad #40. Helpfully I couldn’t make #39, an excellent night charting the develop of Glenfiddich since the 1960s with Jamie Milne and a bunch of old bottlings of whisky, due to an appointment with a beer festival, but #40 was one that I was certain not to miss – an evening of whisky from round the world presented by Dominic Roskrow. 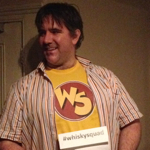 I am much behind on Whisky Squad write-ups, which is especially bad as I’ve recently started helping out organise The Squad properly, rather than just shouting drunkenly during the sessions and claiming that it’s ‘help’. Anyways, Whisky Squad #37 has fallen by the wayside, as I was helping present it and didn’t make enough notes. But never mind – here is number #38! Whisky Squad #36 – Tequila Squad! It’s taken a while but unfortunately Whisky Squad has now run out of whisky to taste. Over 35 sessions (plus a few unnumbered ones) we’ve tasted our way through everything Scotland has to offer. Rather than curl up and die, like any self respecting society dedicated to the exploration of a specific spirit, the Squad has instead decided to switch allegiances and turn to another spirit – and thusly is it now renamed: Tequila Squad! Or, you know, it could just be that Andy really wanted to learn about tequila and after attending a tasting session at Wahaca (which I also attended) got chatting with a chap who mainly hid in the darkness all night, making sure things ran right, and got an agreement that he’d run a session for The Squad. Jump forward a year and a bit and it finally came together, with the mysterious man in the shadows revealed to be Matthias Lataille of the Tahona Society, who brought along a friend of his – Stephen Myers from Ilegal Mezcal.